I will be publishing the O’Neill Genealogy book this spring. It is a hard cover book about 450 pages in length. I have managed to keep the cost to $50 (Canadian) plus shipping, if applicable. Payment can be made by Pay Pal or by a cheque to Jeri Lunney at PO Box 1524, Almonte, ON K0A 1A0 CANADA. Below is the Table of Contents. Please e-mail me if you wish to have a copy or copies. Note to family members: The above file has been privatized. This means that the personal data of all living individuals has been made private. I welcome all enqiries, corrections, additions. E-mail Me if you wish to get more information. If the software included your name by error it probably means I do not have your birth date. The history of the O’Neills could fill volumes such has been their influence on Irish history and culture. 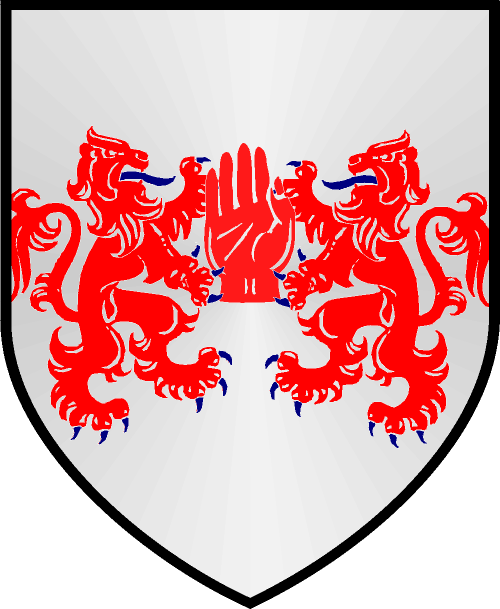 The O’Neills are most associated with Ulster Province (the red hand of Ulster is taken from their coat of arms) but there were other septs located outside of Ulster who also anglicized their name as O’Neill. The O’Neills of Thomond were centered on the area around Bunratty and although O’Neill is not often found there today traces of the sept are hidden under the names Nihill and Creagh. The O’Neills of Carlow were located at Rathvilly with descendants of another sept found in Counties Tipperary and Waterford. The Ulster septs of O’Neill, of course, are those most associated with the name. Their ancestor was Niall, King of Ireland, who died while battling the Vikings in the year 919 AD. They were the chief family of the Cinel Eoghan, their territory being modern day Tyrone, Derry and Donegal. These septs were originally of a tribe called ‘the Ui Neill’ who were the descendants of the famous ‘Niall of the Nine Hostages’ and who were undisputed Kings of Ireland for centuries. They formed two main branches, the Ui Neill of Ulster and the Southern Ui Neill, located in County Meath. The O’Neills were so powerful that they were targeted by the English for extermination with special zeal in the sixteenth century. 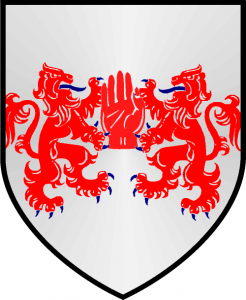 Despite the best efforts of the crown under their agent Essex, the O’Neills continued to thrive in Ulster right up until the ‘Flight of the Earls’ in 1607, and the departure from Ireland forever of Hugh O’Neill (1540-1616), the second Earl of Tyrone. His departure signalled a new era in Irish life and history as the Gaelic way of life was finally subverted by the superior war machine of the English. There have been many famous bearers of the name including Shane O’Neill (1530-1567), Sir Niall O’Neill (1658-1690) who distinguished himself at the battle of the Boyne. Arthur O’Neil (1737-1816) was a blind harpist of great renown. John O’Neill (1834-1878) was a Fenian leader. Eugene O’Neill (1888-1953), the dramatist, was the son of an American actor, himself an Irish immigrant. Congress Thomas ‘Tipp’ O’Neill (1912-1994) was a US Speaker of the House of Representatives and an advocate of the Irish cause. In modern times the name O’Neill is still found throughout the world in considerable numbers, such was the influence of the mighty families of O’Neill. Somehow, I believed that my research into the O’Neill family would be brief since there were so many priests and nuns. And so there were. The first set of pictures are from the family of Thomas O’Neill and Margaret Murphy. But then we found a whole new set of descendants — the Mullins, the Stantons, the Charlebois, and more. Father Alphonse O’Neill (1903-1976). Below, Father Alphonse O’Neill says Mass during the Second World War. Mary O’Neill married Martin Mullin, had a large family. I spent several months researching her family and met some amazing people including Helen Bennett from Renfrew and Pauline Grier Hammerstrom from Toronto. Helen shared this picture of Mary O’Neill Mullin. Helen also shared picture of Thomas Daniel Mullin (1862-1948) and Mary Ellen Nelan (1872-1905) and their daughters, Sister Rita Mullin and Sister Genevieve Mullin. Hi there, wonderful site, you have done a huge amount of research, just wondering if you can help us trace relatives of an Airman sadly killed in WW11, a Charles J E O’Neill, thank you. P.S have sent you another email as well, but it may go into your trash folder. Hi there. It has taken me a while but I now have researched the O’Neills and know his connection to my husband’s family. You can contact me at jeri.lunney@gmail.com.